In addition to the three best pictures, selected by the jury, the most liked image on www.discoverbarents.com will be announced as the winner of the general vote and rewarded with an honorable mention. The Photography Competition will be promoted on social media using the hashtags #discoverbarents and #barentsyouth. The general vote ends at the same time as the contest, i.e. on 30 April 2019. The main winner will be invited to the awarding ceremony, which will take place on October 1-4, 2019, in Umeå (Västerbotten, Sweden), during the Barents Regional Council Meeting. The Finnmark County Administration will cover the travel cost of the winner to the awarding ceremony. Participation requires all parties to comply with these rules. By participating in the competition, participants accept the rules. The prizes of the competition are announced in these rules and no other prizes or rewards will be awarded. The prize amounts will be paid to the bank accounts provided by the winners within two (2) weeks of granting the awards. The organizer is not responsible for any prize taxes. All possible prize tax consequences are the responsibilities of the winners as different countries are subject to different tax practices. The competition is open to everyone. Participation can be from anywhere in the world. The organizers of the competition and the jury are not eligible for participation in the competition. Children under the age of 16 must have a guardian’s consent to participate in the competition. The guardian will accept any prize on behalf of the child, and care for possible tax consequences. Participate in the competition by submitting an image in JPEG format to the competition website www.discoverbarents.com. The image should be at least 1,600 pixels in size. There is no upper limit or form requirement. The image must be shot in the Barents region. When participating in the competition, the participant must indicate the shooting location and time for each image. Since the theme of the Competition 2019 is Barents Youth, it is expected that the main subject of the most pictures will be young people. Yet the photographs may not include any identifiable person(s) without their consent. Therefore, participants are responsible to ask permission from any person(s) appearing in the pictures, to take and post pictures of them in the competition. NB: In case of children under 16 years old, permission has to be asked from their parents. One participant can submit maximum two (2) images. However, only one of the images submitted by the same participant can win a prize. Participants must always use their own name in the competition. If someone appears under a different name, he/she can lose his/her prize. By participating in the competition, the participant declares that the image is their own, does not infringe any copyright, trademark, privacy or moral rights, and no other party has any claim to the image. By participating in the competition, the participant gives the organizer the right to reproduce, display, print or use competition images in any form for a period of five years after the end of the competition. 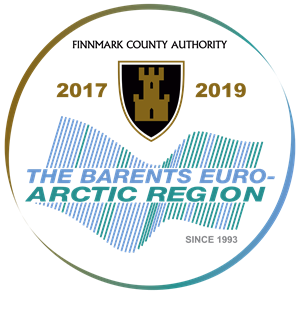 Images can be used to market and/or be used by the Barents region. Organizer may also use images in other media (including social media). Images submitted to the competition are stored in a common photo gallery from which they are freely available for any of the above purposes after the end of the competition. The photographer information and image source are prerequisites for displaying the image. Images can be downloaded in different formats by registering on the website. Images can be downloaded for a period of five years after the end of the competition. The organizer reserves the right to publish the first name, surname, hometown and home country of the participating photographer in all competition-related contexts. The organizer reserves the right to edit and crop images submitted to the contest in order to modify them for different venues. When presenting an image in any context, it will always mention the photographer’s name. The organizer of the competition reserves the right unilaterally to decide whether the images submitted for the contest are suitable for publication in the competition photo gallery. Photos that contain copyrighted/violent/pornographic or otherwise inappropriate content will not be published. The competition period is February 1, 2019 – April 30, 2019, after which an international jury will select the winners during May 2019. The winners will be announced by June 1, 2019. The results of the competition will be published in the website www.discoverbarents.com and www.barentscooperation.org on June 1, 2019. All winners will be notified in person, provided appropriate contact information has been submitted. The organizer reserves the right to change the rules of the competition at all times.